Riot Squad Sub-Lime is an e-liquid that truly lives up to its name. Experience citrus-soaked sensory overload with this tart blend of sour lime and sweet lemon, perfectly blended for a truly refreshing, flavour-filled vape. Like the other e-liquids in the Riot Squad range, Sub-Lime has been blended with high-quality ingredients to deliver next-level flavour, while its 70% VG formula gives you a luxuriously smooth inhale and will have you blowing out huge clouds of vapour. 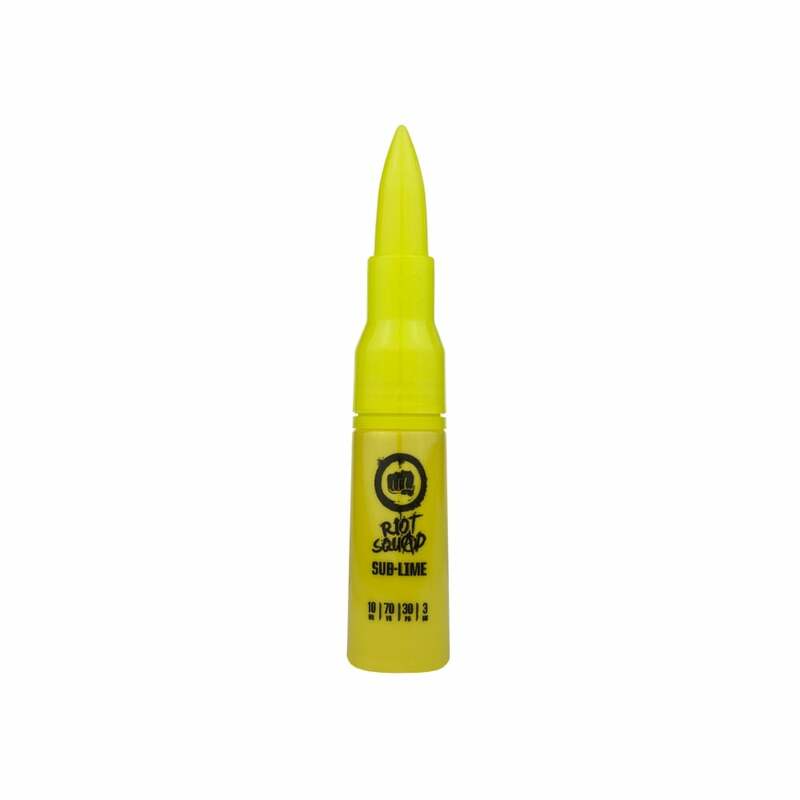 Click here for the short fill version of Riot Squad Sub-Lime. Poor taste. Nice bottle though.